A diagnostic ultrasound (sometimes called a sonograph) uses sound waves to produce real time images of organs and tissue within your body. 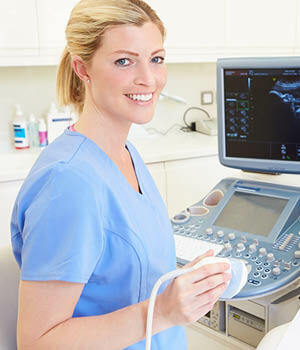 During your test an instrument called a transducer is used to emit high frequency sound waves which transmit a moving image that can be displayed on the sonographer’s computer. Most often, during your exam the sonographer will have you lie on the examination table. A small amount of gel will be used on the transducer to help increase clarity of the images that are captured. Exam time will vary depending on the type of images your doctor is requesting. After your exam your doctor will be able to review the test results. 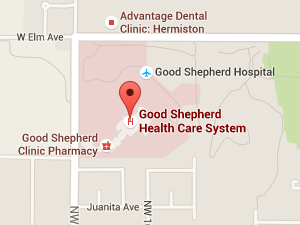 For more information and to schedule an ultrasound exam please call 541.667.3520.